Why would I bother doing it when so many other people are doing it well, already? What new could I bring to the table that isn’t already being done? Why is what I have to say any more valuable that someone else has to say? Is anyone truly interested in what it is I’d be sharing? And as natural as they may be, how is this any different than building or releasing a product? You can ask yourself the same thing about anything you attempt to do from starting a business to building your first WordPress plugin. So to address the two, I thought I’d answer them the same way as if someone were asking me why they should start a podcast. The feeling itself is natural, for many – though not all – but that shouldn’t be a deterrent. The worst thing that can happen is that no one is really interested in what you’re sharing. But even then, I question that. Instead, could it not be the format that you’re sharing it? Or perhaps it’s how you’re sharing it? Luckily, there are various ways to produce a podcast. Try it and if that doesn’t work, recalibrate and try again. I don’t know a single person who didn’t have an uphill climb in doing what they do. Or something like that. But I genuinely do believe that you never know until you try. And this is where I began to have a big of clarity around what I might want to try as a podcast. So perhaps the best way to start is with members and then branch out from there if it works. And I can gauge that on feedback. If you’re reading this section of the post, then it means you’re a member of the site. First off, thank you! Secondly, you’re – as I said – the target audience, I have at first. It’s not only meant to be a trial for this, but it’s also meant to be something as yet-another-advantage of being a member of the site. Easy: I’ve set up a page that only members can access (via this link) and you can submit your question to answer. As frequently as possible (I’m starting with a goal of doing two podcasts per month), I’ll answer as many questions as possible that are submitted. If none are submitted, then there’s no market for the podcast. If they are submitted, then please make sure that you mention whether or not you want to remain anonymous or if you’re okay with me using your first name. I’m completely fine either way, but I’d like to give credit to the person asking the question, when possible. And that’s it! I’m not looking to do anything particularly fancy other than simply answer questions and perhaps produce a podcast that serves others in a convenient manner (and as short as possible) without trying to crowd the space too many. So that’s that! 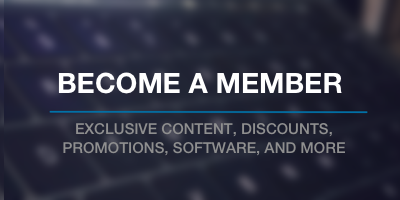 If you’re a member of the site, you have everything you need to get started. And if not, that’s okay. You can either sign up or wait until later to see if this thing proves to be a success.